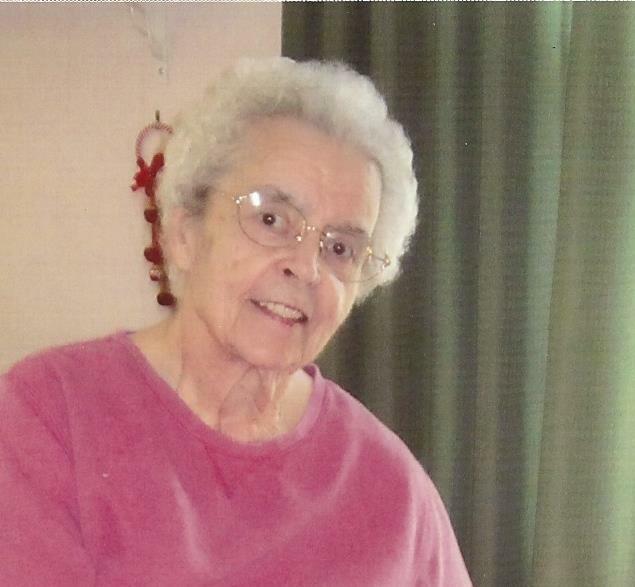 BATH - Zada Thurlow, a resident of Bath, died at home on Sunday May 27th. She was born August 3, 1941 to Ella Barstow and Harvey E. Barstow Sr. in Richmond, ME. PLEASANT HILL, IA - Geraldine Mae Skinner, 92, passed away on February 22, 2018. Geraldine spent the last years of her life under the able care of the staff at Parkridge Specialty Care in Pleasant Hill, Iowa and Trinity Center at Luther Park in Des Moines, Iowa. 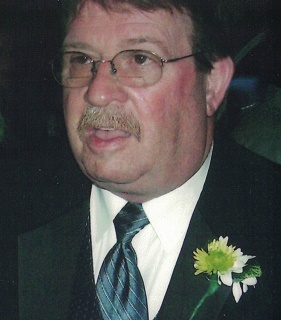 Brunswick-Thomas C. O'Brien, 73, passed away on Monday, May 7, 2018 at Freeport Nursing Home with his family by his side. He was born in Illinois on January 18, 1945 the son of Eugene and Doris O'Brien. Tom enjoyed being a member of the Mason's Village Lodge #26 in Bowdoinham. Tom was predeceased by his parents and a brother Bill O'Brien. He is survived by his wife of 29 years JoElla O'Brien of Brunswick, daughters Raven Wing of Brunswick, Molly O'Brien of West Bath, son Dan O'Brien of Illinois, sisters Jane and Judy, and 6 grandchildren. Per Tom's request there will not be any funeral services. BOWDOINHAM - Gary William Lothridge was born on January 7th, 1949 and passed away on May 7th, 2018, with his family at his side. 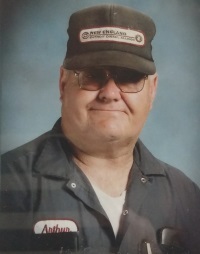 Richmond-Alan W. (Tink) Sweeney, 75, passed away Thursday, May 3, 2018 at his home. He was born in Brunswick May 28, 1942 to Wesley R. and Evelyn B. Sweeney of Bath. Alan grew up in Bath and graduated from Morse High in 1962. Alan married his love of life Brenda Sargent from Weare, NH May 24,1969. He joined the United States Navy and served 20 years proudly retiring in April 1984 as a Mess Management Chief Petty Officer. Alan was a Master Mason for over 50 years and was a member of the York Rite, the Scottish Rite and most of the appending bodies. His home lodge was Polar Star #114, Dunlap Commandery #5 of Bath. Alan was also member of Kora Shriners and the American Legion Post 132 of Richmond. He enjoyed spending time with his family, cooking, cake decorating, fishing, hunting and traveling. After retiring from the USN he decided to try different jobs until he went back to his passion of making baked goodies. Alan owned Honey Buns Bakery in Lisbon Falls 1992-1994 due to health issue had to sell and worked for the Brunswick Sewer District. Alan was predeceased by his parents Wesley & Evelyn Sweeney and brother Donald Sweeney. Alan is survived by his wife Brenda of Richmond, Daughter, Teena Sweeney of Bath, Son, Alan Sweeney of Guilford, CT., his Grand girls, Mia, Isabella and Eliza Sweeney of Guilford, CT., brother Robert & his wife Cheryl Sweeney of Topsham, ME. Several Uncles, Aunts, Cousins, Nieces and Nephews. From Alan (Tink): It’s been a trip, friends. Thank you to my family, friends and complete strangers who have made life so interesting. Bye, for now, until we meet again. A memorial service will be Saturday, May 12th 1:00 PM at Kincer Funeral Home, Inc., 130 Pleasant Street, Richmond, ME 04357. Burial with military honors will take place on Monday, May 21st at noon at the Niche wall Maine Veterans Cemetery Civic Center Dr. Augusta, Me 04330. Yarmouth-Jean Lyndes Andrews, 91, died April 22, 2018 in Yarmouth, Maine. Jean was born on March 21, 1927 in Ludlow, Massachusetts and grew up in nearby Indian Orchard. She was the daughter of Stanley H. and Evelyn (Martin) Lyndes. 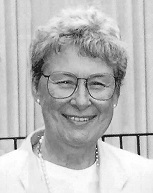 Jean graduated from Green Mountain College and attended the University of New Hampshire. In 1947 Jean married Edward C. Andrews Jr. Jean and Ed lived in Maryland while Ed finished medical school and they quickly had five children. In 1958 they moved “home” to Vermont, where Jean raised their family and supported Ed in his career at the University of Vermont, where he eventually became dean of the College of Medicine and later president of the university. In 1975 they moved to Maine, where Ed was president of the Maine Medical Center in Portland until his retirement in 1988. Jean always focused on putting others at ease and making them feel welcome and comfortable. She was intensely interested in people and had a warm and unobtrusive way of learning everyone’s life story. She was a great cook whose fish chowder and Thanksgiving dinners were particularly renowned. She loved children and dogs and always greeted every baby and toddler she met at the grocery store. She played the piano, especially at birthdays and holidays, and in recent years played the oldies for the residents in her assisted living facility. She was an avid reader who loved biography and history, and was deeply interested in the visual arts, especially painters of Maine and Vermont. She had a great sense of humor and kept those around her laughing until the end. She was predeceased by her parents, her husband and by her brother Milton “Skeeter” Lyndes. She is survived by her children Leslie Freeman and her husband Jim of Richmond, Maine, Dawn Andrews of Cabot, Vermont, Dale Wadhams and her husband John of Burlington, Vermont, Ted Andrews and his wife Deb of Casco, Maine, and Scott Andrews of Charlotte, Vermont along with her twelve grandchildren, five great grandchildren, and eight nieces and nephews and their families. The family would like to thank the staff of Bay Square in Yarmouth for the wonderful care and friendship they gave Jean and to Chans Hospice for their support near the end. Donations in Jean’s memory may be made to the Good Shepherd Food Bank, P.O. Box 1807, Auburn, Maine 04211 or the Vermont Historical Society, 60 Washington Street, Barre VT 05641. BOWDOINHAM – Arthur N. Garland, 78, of Bowdoinham passed on Monday, April 23, 2018 at his home. He was born on November 18, 1939 in Bangor, ME, the son of Nelson and Debra (Holland) Garland. PITTSTON – Dorene “DoDo” Gearhart, 71, of Pittston passed away April 10, 2018 at her home. Dorene was born on November 19, 1946 in Gardiner, Maine. She married Fred Gearhart on December 24, 1979 in Portland, Oregon. Dorene was predeceased by her parents, John and Edna (Savage) McDougall; her foster parents, Ester Frey Herrick, John Frey, James Herrick; and two brothers, George and Roger, and four sisters, Elaine, Margie, Annie, and Cynthia. 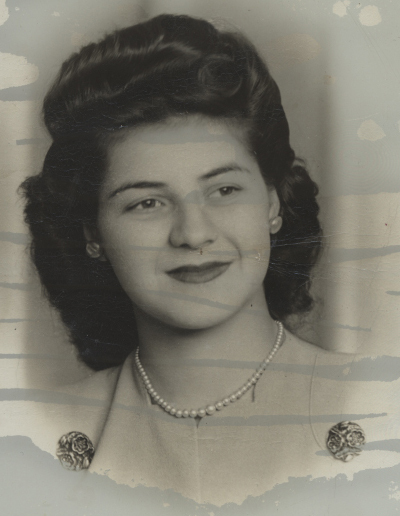 She is survived by her husband, Fred Gearhart of Pittston; her son, Tony Davis of Brunswick; one brother, Walter; and four sisters, Pat, Nancy, Judy, and Mary. A Remembrance Service will take place at a later date. 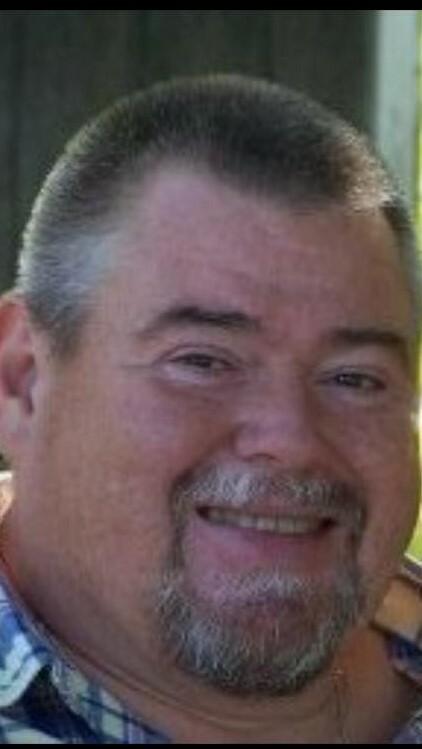 RUMFORD – Duane Allen Powers, 54, passed away unexpectedly on April 21, 2018. He was born in Rumford on December 25, 1963, the son of Harry and Roxalynn Eaton Powers. 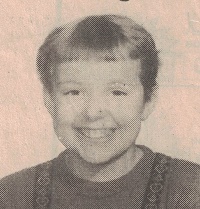 He married Jill Elizabeth MacMaster of Gardiner on April 28, 1996. Duane grew up in Rumford and graduated from Rumford High School in 1983. He later graduated from Southern Maine Vocational Technical Institute and became certified as a drinking water technician. He worked for several water districts, including Brunswick, Augusta, Kennebec, and Dixfield before moving to Petersburg, Alaska, with his family where he served for six years as water superintendent before retiring and moving back to Maine with his family in 2016. Duane (“Isaac”) was a member of the St. Alexander Nevsky Church in Richmond, Maine. Duane enjoyed hunting and fishing and being in the outdoors. Everyone who knew Duane knew he could never pass up a good joke and pass it on to whoever was nearby. Duane was predeceased by his mother in 2015. He is survived by his father, Harry Powers of Rumford; his wife, Jill Powers of Rumford, a daughter Shayla and her son Drayden; son Benjamin MacMaster Powers and daughter Margaret Mae Powers, both of Rumford; a brother, Dale (Michele) Powers of Biddeford; his parents-in-law, Brian and Rhoda MacMaster of Gardiner; sisters-in-law Julie (Alfred) Booty of Bowdoinham, Susan (Benjamin) Beaulieu of Unity, and Shelley (Daniel) Murphy of Middleburg, Florida, and brother-in-law Scott (Melissa Hackett) MacMaster of Dresden, six nieces, 13 nephews, several cousins, and aunts and uncles. A funeral service will be held on Tuesday, April 24, 2018, at 9 a.m. at St. Alexander Nevsky Church, 15 Church Street in Richmond. Burial will follow at 1:15 p.m. at the Powers Cemetery, Bear River Road (Route 26), in Newry. Arrangements are under the care of Kincer Funeral Home, 130 Pleasant St., Richmond, Maine 04357. A Celebration of Life will be held on Saturday, April 28, 2018, at 11 a.m. at the Enterprise Grange Hall, 15 Alexander Reed Road in Richmond. 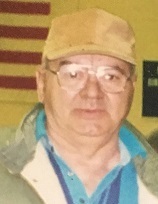 In lieu of flowers, memorial contributions may be made to St. Alexander Nevsky Church, 15 Church St., Richmond, ME 04357. Gardiner – Robert Rena Hathaway passed away on Sunday, April 15, 2018, at Maine General Medical Center, Augusta, after a brief illness, at the age of 84. Known to most as “Bob”, he was born on August 19, 1933, in Gardiner, Maine, and was the son of Irvin Hathaway and Josephine (Brown) Hathaway. Bob was a handyman, spent many years dealing in antiques and was mostly known for his food truck—Bob’s Famous Fries, which he traveled throughout New England from fairground to fairground for decades. He was predeceased by his parents and brothers: John, Richard, Donald, David, Irvan, Dewey and by his Great-granddaughter, Paitn Marie Verrill. Bob is survived by his only son, Scott Hathaway and wife, Teresa McKay Hathaway of Gardiner; granddaughter, Ashley Hathaway and partner, Mark McLain, great-granddaughter, Nyelle Hathaway of Augusta; brother Paul Hathaway and wife, Terry Hathaway of Gardiner; sister Mary-Jane Cone of Georgia; sister Sharon Brown and husband, Wallace Brown of Gardiner and many special long-time friends and family members including: Lurena Hamel; Stacy Hamel and wife, Jay Hamel of South China; great-nephews, Stephen Hamel and partner, Heidi Metten, and Ryan Hamel and Great-great nephew, Lincoln Hamel of South China. He is survived by many more nieces and nephews. The family would like to thank Augusta Center for Health & Rehabilitation for the care given to Bob the last few weeks. Also, much appreciation to Janet, John & Angel for your friendship and kindness. In honor of Bob’s wishes, there will not be a public service held. Richmond-Steven Ladd, died on April 16, 2018. There will not be any funeral services. and wife Joyce of Florida, several nieces and nephews. Cemetery in Dresden with a gathering to follow on the Perkins Rd., Dresden. Marlene B. Cook, age 81, died April 11, 2018 at Heritage Rehabilitation and Nursing in Winthrop, Maine. her recent stay at Heritage. Marlene attended Litchfield schools and graduated from Litchfield Academy. various times in her life she had been a member of the Litchfield Grange and a member of the Litchfield Fire Auxiliary. Farmingdale, Makayla Hilchey of Litchfield and Kelsey Collins of Litchfield. A private graveside service will be held at the Litchfield Plains Cemetery in May. A special note of gratitude goes out to the staff of Heritage for the exceptional care given to her during her battle with Dementia and failing health. The family would also like to thank the members of Beacon Hospice who assisted in her last days. In lieu of Flowers, please donate in her name to your favorite Maine charity.